The Jacqueline Hayes Show "Zondra Evans"
Zondra shared great information that could help people discover their value and worth. Two questions people should ask themselves to live life with more meaning, purpose and power. 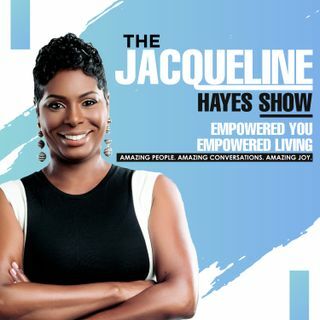 Jacqueline Hayes is a three-time author, motivational speaker and empowerment consultant. Jacqueline believes that a person’s quality of life is determined by the choices and decisions made every day. Jacqueline has three breathtaking books to her credit; “Unfolding: A Woman’s Journey,” “You Are Enough: A Guide to Love, Joy, Peace, Freedom and Acceptance,” and “Blossom: Discover the Beautiful Flower Within” – all available on Amazon. She is committed to her mission of seeing others blossom and fulfill their potential. Until the next episode, be empowered!